MSJ, nonfiction writer who has been published in the Los Angeles Times, NBC News, Reuters, Health, Self, Fit Pregnancy, Shape, Women’s Health, BabyTalk, Family Circle, and Ladies’ Home Journal. 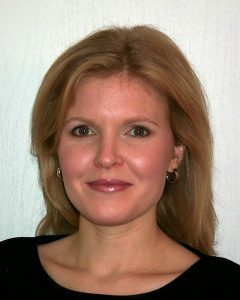 Ms. Stenson has worked as an editor with Condé Nast Publications, NBC News and The New York Times Syndicate. The prospect of launching a career in freelance writing can be exciting and inspirational. It may also be a bit daunting. My role is to guide novice nonfiction writers, providing them with knowledge, tips of the trade, and support. I help students learn about the writing process one step at a time, from the development of a marketable idea to the structuring of the article and the polishing of the final draft. I take a hands-on approach to my teaching, showing students examples of quality writing and emphasizing the importance of learning by practice and through feedback of their work. My goal is to create an encouraging learning environment that equips students with the skills necessary to embark on a nonfiction writing career with confidence.